I've always been intrigued by celebration Advent. In my church (Independent Baptist) we really don't celebrate this advent season. 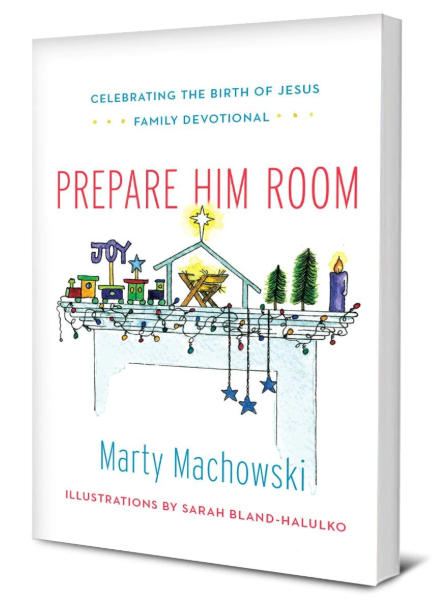 I was very excited to read Prepare Him Room because it is a family devotional that walks you through the advent season and centers on celebrating the birth of Jesus. This book is well written and gives activities, scripture and more to make the devotional come alive for families with all ages. 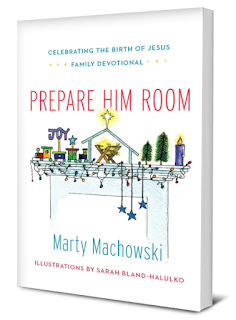 Prepare Him Room is a tool for families hoping to focus on Jesus during the Christmas season. Parents, teachers, and caregivers will find a whole Christmas story—from the prophecies concerning Jesus to his birth, death, and resurrection; culminating in the return of Jesus. Readers will have the resources necessary to counter the commercialism, materialism, and sentimentalism our culture celebrates each Christmas. Four weekly lessons feature a New Testament Bible story, a look at Old Testament promises, an object lesson, a craft, a coloring page, and a Christmas carol to sing together. Prepare Him Room will change the way kids and families at your church celebrate Christmas. The corresponding curriculum Prepare Him Room is sold separately. Challenge your family to celebrate the true meaning of Christmas. Marty Machowski is a Family Life Pastor at Covenant Fellowship Church in Glen Mills, Pennsylvania, where he has served on the pastoral staff for thirty years. He is the author of the Gospel Story for Kids series including The Gospel Story Bible, Long Story Short, Old Story New, the Gospel Story Curriculum, the Prepare Him Room advent devotional and curriculum, Wise Up family devotional and curriculum, Listen Up family devotional and curriculum, Dragon Seed, The Ology and Parenting First Aid. He and his wife, Lois, and their six children reside in West Chester, Pennsylvania.